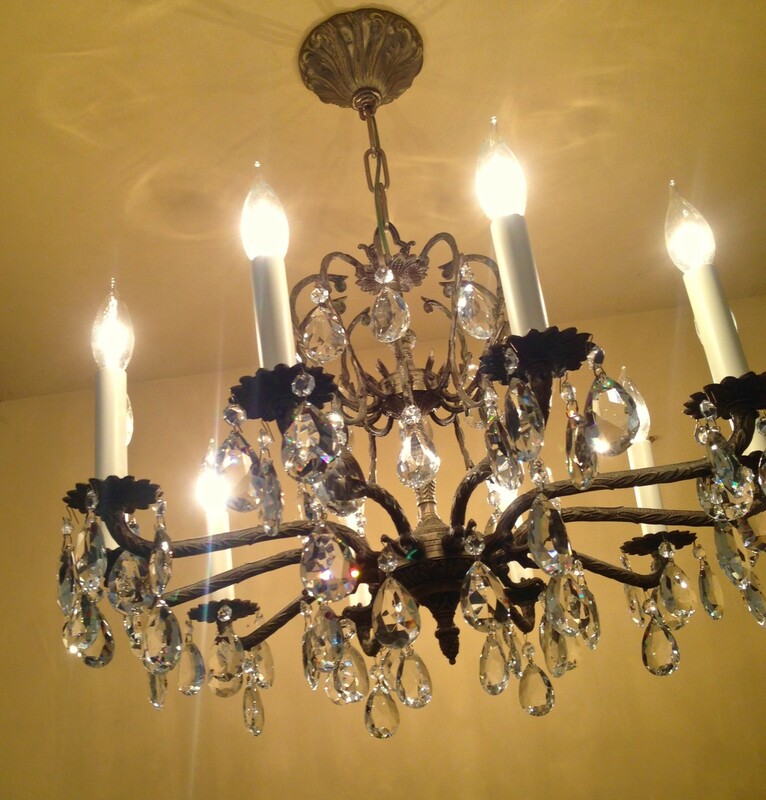 Beginning about 1960, and lasting through to the 1970s, a particular style chandelier became wildly popular. The chandeliers were all made-in-Spain, were brass, and most had 5 or 6 arms, and were about 16-inches wide. 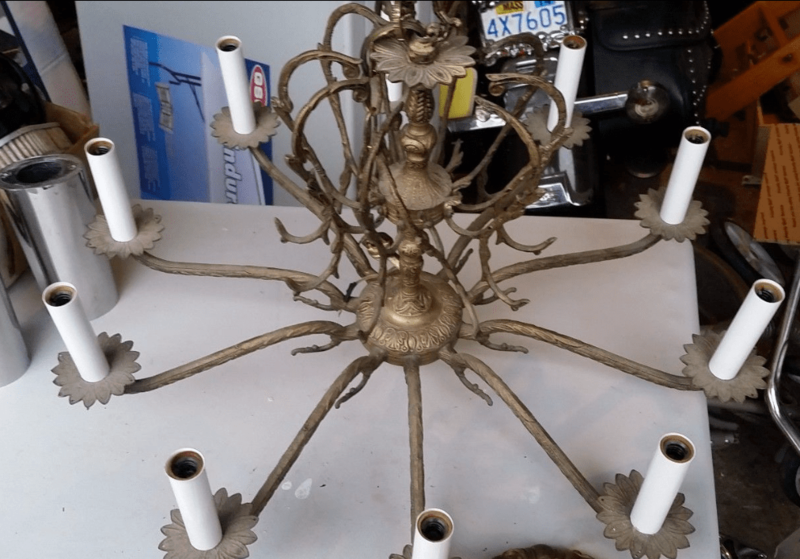 I come across this chandelier often, but never buy them. Every few years however one will capture my special attention. Like this one. It was unusually large (24-inches wide! ), and had ten arms. Ten! It was also missing all its crystals, and this compelled in me a desire to resurrect its lost beauty. And the results make me happy. Hello, gorgeous! My online vintage lighting store.